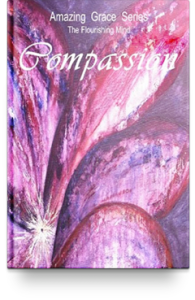 This book is a profound exploration of the nature of compassion. Gita encourages us all to master the State of Compassion, for as she says, this accountability brings freedom. She writes that a life without compassion impoverishes the heart and that the inevitable step for humanity in the 21st century is COMPASSION NOW – only then will humanity be free from judgement, free from misconception, free from anything that is not in complete resonance and harmony with all life. Readers are encouraged to download the exercise for opening up and releasing the pain in the heart. Extract from the Clarion Review: Buddha discovered that silent contemplation allowed him to see beyond his own existence to the wider universe. Since that time, although it is never easy to achieve, the expansion of self awareness has opened the hearts of many to the healing effects of compassion. This second book in Gita Bellin’s Amazing Grace Series offers guidance for people who want to awaken their hearts and minds in this way. Compassion follows the format of her previous book on Reflection, which prepares readers for this next step. She observed, while teaching her students the process of awakening to compassion, what she describes as a way of being that blossoms naturally when the heart begins to open. This is not a book that can be breezed through without study and practice. Brief affirmations and analogies comprise the primary text and should be read during contemplative sessions. The lines can be re-read whenever the need for guidance in reaching the goal of compassionate living arises. This book should interest all who wish to learn more about the positive outcome that compassion can bring to their lives.